Nearly two dozen people were injured Monday after a 7-alarm fire erupted in a New York City parking garage, officials said. 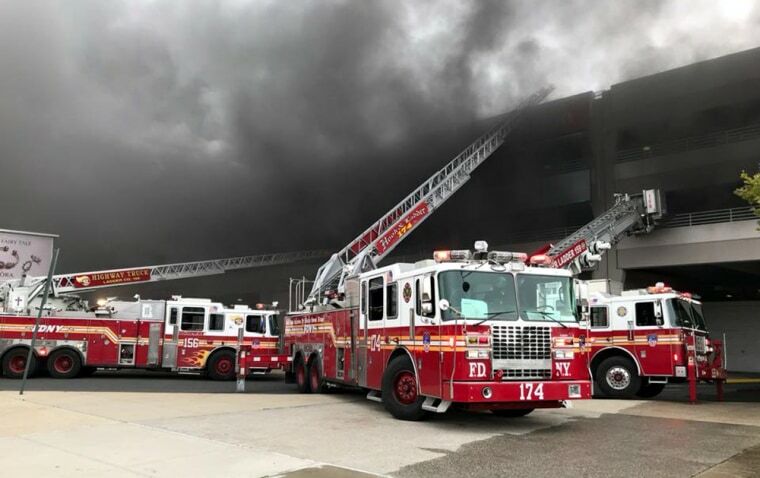 More than 200 members of the FDNY were on scene of the blaze at the Kings Plaza Shopping Center in the borough of Brooklyn. Three civilians and 18 firefighters suffered non-life-threatening injuries. The vehicles initially caught fire on the second floor inside the parking garage at around 8:30 a.m. It took till approximately noon to get the fire under control, NBC New York reported. It was not immediately known how many cars caught fire or how the blaze started. The Kings Plaza Mall will remain closed while firefighters clear the scene.